Sidelined for a bit - Run. Bike. Code. 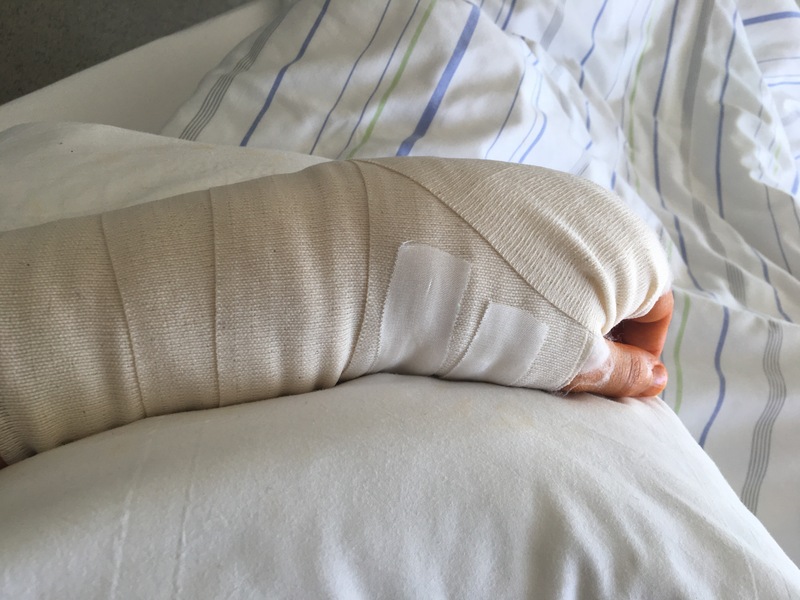 On Tuesday night I broke my wrist (technically it’s a distal radius fracture) on one of the stupidest home accidents imaginable. Cleaning up after my daughter who had a puke incident at night, I slipped on a wet spot and caught the fall with my left hand (and head, lucky I didn’t also get a concussion). Had surgery on Wednesday afternoon and the two pieces got straightened and fixed via Osteosynthesis. I now have metal in me, yay?! I don’t have to wear a hard cast, the prognosis on when I’ll be able to (safely) run again is still open (I’d hope for two weeks, doc says six). Pretty happy that I didn’t commit to a spring marathon, but bummed about that awesome mileage build I had scheduled to start these days. In other news, the Berlin Marathon recap is happening, I have long draft, but with limited typing ability it might take some time to finish.